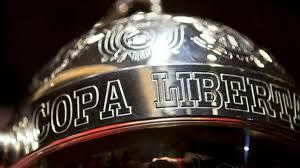 River Plate were second to touch down Thursday morning after both sides reluctantly agreed to go ahead with the fixture despite a wave of protests from the local football community at Conmebol’s decision to move the tie to Europe. Spanish police will be in charge of the security operation for Sunday’s match at Real Madrid’s ground, with more than 2,500 officers expected to be on duty for what is known as the ‘Superclasico’ and regarded as one of the world’s fiercest football rivalries. The two sets of fans have been given 25,000 tickets each for what is technically River Plate’s home leg following the first-leg 2-2 draw. The originally return game was scheduled to take place on November 24 but was called off after several Boca players sustained injuries when rocks were thrown at their team bus on the day of the game. The kickoff was delayed several times before being postponed for 24 hours, then postponed again leading to a frantic search for a replacement venue. River have complained of losing home advantage while Boca say they should have been awarded the title – South America’s equivalent of Europe’s Champions League – by default as a result of the violent attack on their players. Boca legend Juan Roman Riquelme has been among those to speak out against the switch to Madrid. “It all seems very strange to me – it’s strange for all of us,” said the former Argentina international. “The Superclasico is one of the few things that is ours – like our barbecues, mate, dulce leche… whatever. The Superclasico is ours and they’ve taken it away from us. It’s our party, in our country – a game between the biggest two clubs in the country. The move to another continent has not lessened interest in the fixture, however, with practically all tickets for the final at the 85,000-seat Bernabeu already snapped up. The winners will secure the final berth for the December 12-22 FIFA Club World Cup in Abu Dhabi.